After the release of Baahubali - The Conclusion, The box office figures of Indian cinema has been completely changed and reached the 4 digit number. Its a known thing that Amir Khan's Dangal movie has been re released in Chinese language and this is the biggest non hollywood film ever in China which was released in 10000 screens. Now the strange thing is that this movie performing well at China's box office and following Baahubali collections. Only on this Saturday there is an unheard and unimagined collection of 100 crores for the film Dangal, this film reached 100 Million from a single overseas territory. 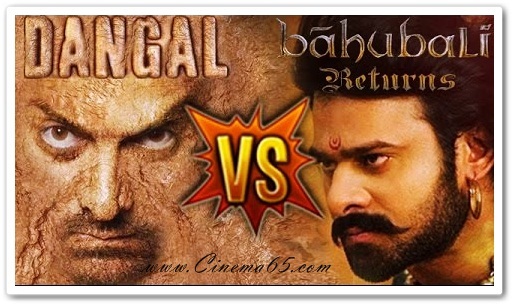 Now there is a huge competition between Dangal and Baahubali in World wide collections. If this is the case, just image what will be collection of Baahubali after it released in Chinese language?